Be one of the 33,000 homes going solar in the Constitution State. For a smaller state, the amount of solar energy production in Connecticut is pretty impressive, growing exponentially over the past decade. Solar installation increased by 124 percent in 2015 alone. Likewise, by 2020, Connecticut is expected to install six times more solar—that’s 1,031 megawatts of additional solar electric capacity. Although Connecticut ranks 17th overall in terms of solar power, the Constitution State is expected to expand its solar efforts in the near future, hopefully moving the state from the middle of the pack to the front. Monthly electric bills in Connecticut currently average $127, equaling about 17 cents per kilowatt of energy. When you take into account that the average solar panel installation costs between $11,200 to $14,400, it’s actually more affordable for most homeowners to go solar than depend on the utility grid for their electricity. Not only that, but photovoltaic cells are now 66 percent less expensive than they were in 2010, making it even more affordable for homeowners to install a home solar power system. Free quotes are the best way to estimate your solar installation costs and energy-related savings. Solar Power Authority’s cost calculator can help you calculate your energy savings today. Since August 2016, every homeowner in the U.S. (including Connecticut, of course) who buys solar panels can get 30 percent back in tax credits. Remember, this federal tax benefit only extends to people who own their solar panels, which means that leases, financing, and solar PPAs are not eligible. For home solar power system owners, it’s a valuable incentive that can help you save thousands of dollars. Many utility companies offer solar-power incentives. Browse Connecticut tax and utility-provider incentives according to your zip code to see how you can save more on home solar. Utility companies in Connecticut are required by law to allow net metering. Essentially, at times, your solar panels will produce more energy than you use. When this happens, your utility company has to pay you for your excess energy. Homeowners are eligible for this incentive if they own their solar panel system. SunPower is based in Silicon Valley and has consistently led the charge in renewable energy. SunPower is a leader in solar innovation, having filed 600 patents for solar technology over the past 30 years and developed the first solar-powered plane—the Solar Impulse 2. Add that to the fact that SunPower solar cells produce 55 percent more energy than most solar panels, and you’ll see why their customers get more energy for less. Sunrun is headquartered in San Francisco, California, and serves roughly 80,000 customers nationwide. This dedicated, residential-solar company offers 20 percent savings on electric bills through its pioneering solar PPAs. 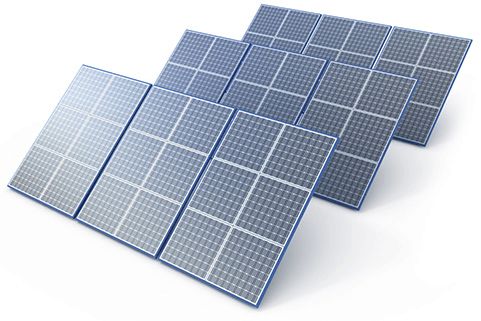 Sunrun also offers solar leasing, in-house financing, and out-right purchasing options. Homeowners who want affordable payment options, top-quality solar panels, more energy savings, and dependable monitoring should go solar with Sunrun. Also, Sunrun features outstanding reviews from industry watchdogs like the Better Business Bureau and Angie’s List. Nestled at the foot of Utah’s Wasatch Mountains, Vivint Solar got its start in 2011. Before that, Vivint originated as a home automation and security company. Gradually, Vivint expanded to home solar, allowing customers to save 10–30 percent on their electric bills. With Vivint, you can choose from solar PPAs, leases, financing, and out-right purchasing options, all of which come with affordable payment plans. Vivint is now a one-stop provider of energy savings, home security, and home automation. 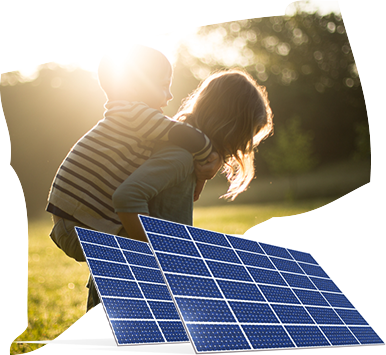 With NRG Home Solar, you can get solar panels installed for as little as $0 upfront. Even though NRG doesn’t currently offer solar PPAs, their customers save money by locking in competitive utility rates. It doesn’t matter whether you choose to lease, finance, or buy your home solar power system from NRG Home Solar, you’ll still get it all—from design and engineering to permitting and monitoring. And, don’t forget that on top of everything, your NRG solar panels will save you money. The State of Connecticut is committed to producing more renewable energy. In fact, Connecticut plans to generate 27 percent of its electricity from wind, solar, geothermal, and fuel cells by 2020. In order to achieve this goal, state authorities have focused on making home solar more accessible to interested homeowners. One specific way that Connecticut fosters solar development is through the Connecticut Clean Energy Fund (CCEF), which is part of a larger strategy to develop renewable-energy resources by linking public funds and private capital. The CCEF provides funding for four renewable-energy sources: geothermal, solar thermal, solar photovoltaic, and fuel cell programs. Connecticut has more than 156 solar companies with roughly 1,951 employees. In 2015, 91 megawatts of solar electric capacity were installed in Connecticut, ranking the state 14th in the U.S. In Connecticut, installed solar capacity has grown by 64 percent since 2014. $270 million was invested on solar installations in Connecticut in 2015—that’s a 124 percent increase over the previous year. With 244 megawatts of solar energy installed in Connecticut, the state ranks 17th in the U.S. in installed solar capacity. Learn more about this regulatory agency that keeps Connecticut utility companies in-check. Monitor legislation affecting solar energy and get in touch with the people who make laws that impact solar. Read about how this group encourages solar energy growth in the state. Learn about Connecticut solar-power incentives available in your specific zip code. Explore how solar and renewable-energy resources can power the U.S. (and Connecticut) more efficiently and sustainably.